When you are traveling with your dog, putting them in a travel crate is vital not only to their safety but also to your peace of mind, knowing that they are resting comfortably and are safe. 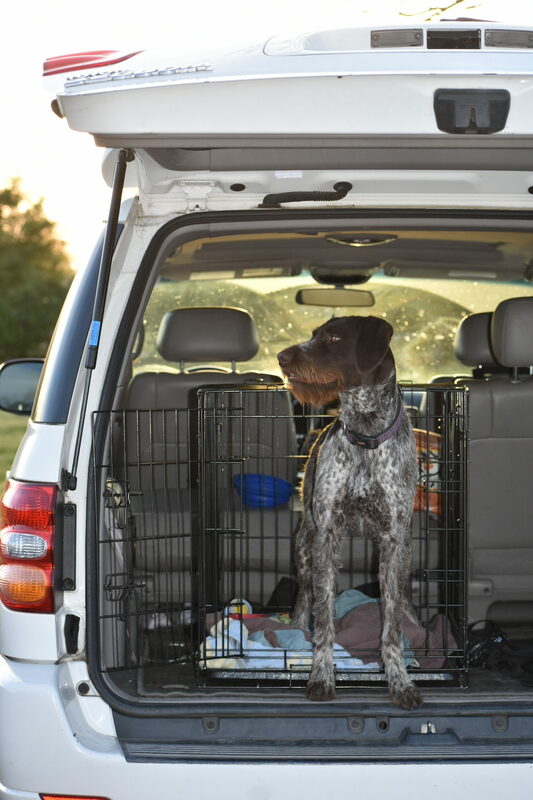 As more and more people travel with their pups, choosing the right dog crate is becoming increasingly important. What Types of Crates Are Available? 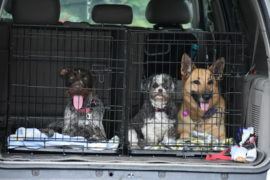 There are several types of crates available to help transport your dog. You will need to decide what type of crate is best for you depending on your needs. And, you never know, you may need two different kinds. Folding Soft Crate: These crates have sides that are made of mesh and are able to be folded and easily stored during your travels. No tools will be required to set it up or to fold it down. It’s quick, convenient and easy, and comes in a variety of sizes to help you measure the crate to the size of your pooch. Two-Door Load Top Kennel: The load-top kennel opens on the top for your to put your pup in their crate. These cages are generally only available in small/medium sizes, so they are not an option for larger dogs. These crates are great for car travel, and are also awesome for air travel as they meet airlines standards. Airline Approved Expandable Carriers: These soft mesh carriers are airline approved and expandable, to allow your pooch some extra stretching room. This carrier also provides a collapsing structure for easy storage when it’s not in use. Moreover, it provides plenty of ventilation for the dog while they are in the carrier. Wire Folding Crates: Wire folding crates are gaining popularity as they are structured and sturdy, yet are able to be collapsed for storage and travel. They come in a variety of sizes and the metal provides an easy to clean material for regular cleaning and (hopefully) not so regular mishaps. These crates keep your dog safe during car travel, are easy to fit into your home and also collapse for storage. Variocage Single Rate: These are larger crates that allow your pup more room. They are usually metal or iron bars. 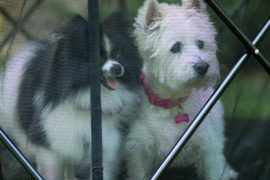 These cages are very expensive but can be worth it if you have a large dog and travel frequently. It’s also proven durable in crash-tests to keep your dog safe if you were ever in a wreck. 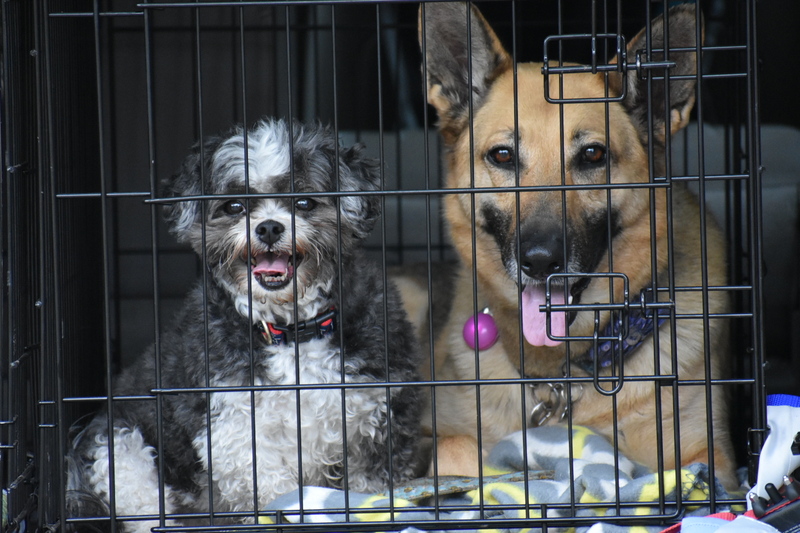 Ensuring that your dog’s crate is well-sized for them makes the crate the most comfortable and appropriate way for travel. You may also need to decide the type of crate depending on how distructive your dog is. If your dog will chew up plastic, they probably won’t stay content in a plastic kennel. 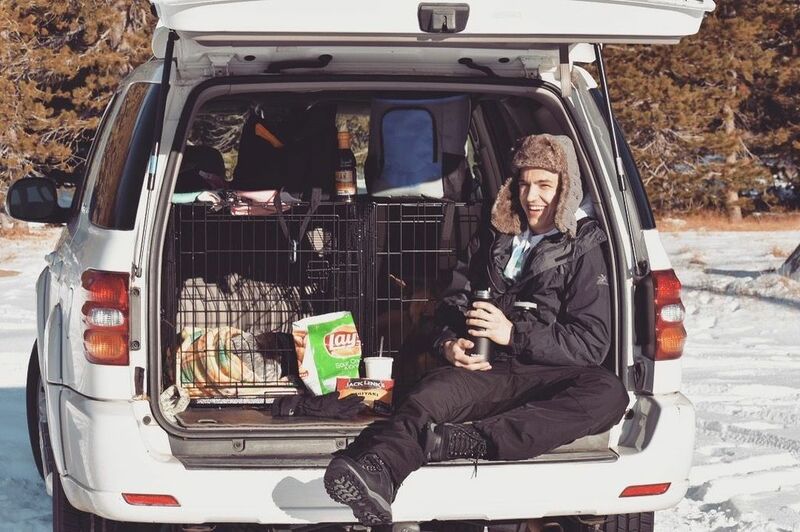 Note: If your dog is not crate trained and does not regularly stay in a crate, it could be a painful process to crate them just while traveling. I recommend crate training your pup early on. It’s a process that requires patience, but don’t feel bad! 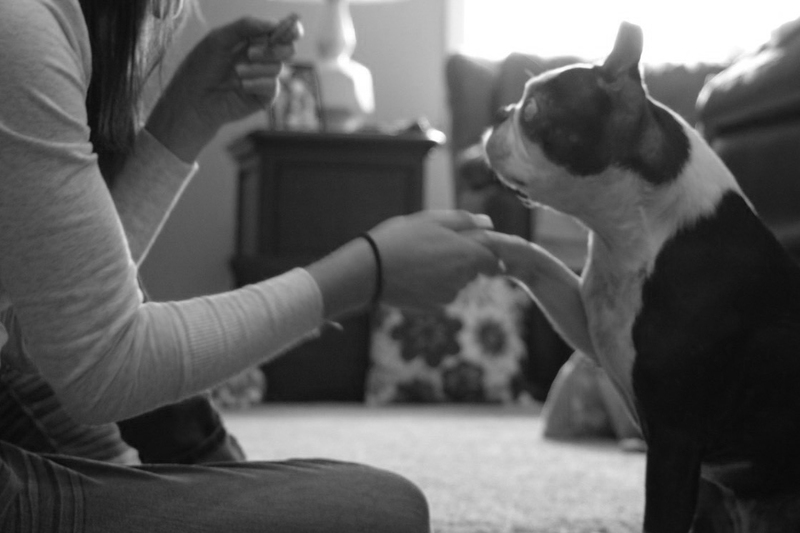 Your life and your dog’s will be happier for the long term. Using different types of crate for travel can come with both pros and cons. Different crates may also be helpful in the many varried situations you encounter. What type of dog crate do you have? Do you have multiple for differnet areas of your home/car? Send us a photo of your crate-trained pup on Twitter! What type of dog food should you be purchasing? 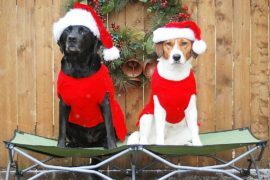 We are a family-owned company and know the importance of having peace of mind in the products you purchase for your pets. We love sharing our tips, tricks, recipes, and routines to help other pet parents enjoy life with their four-legged friend! What is a Raw Diet for Dogs?